Photographers are artists. The product they create captures moments eternally allowing clients to, in a sense, freeze time to memorialize important moments. But photographers must also have a keen eye for balance and design since their photos double as works of art. 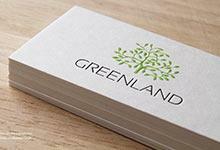 Our Miranda Studio business card template has been carefully designed to balance fine design, with high-end finishings that reflect the high quality of your services. 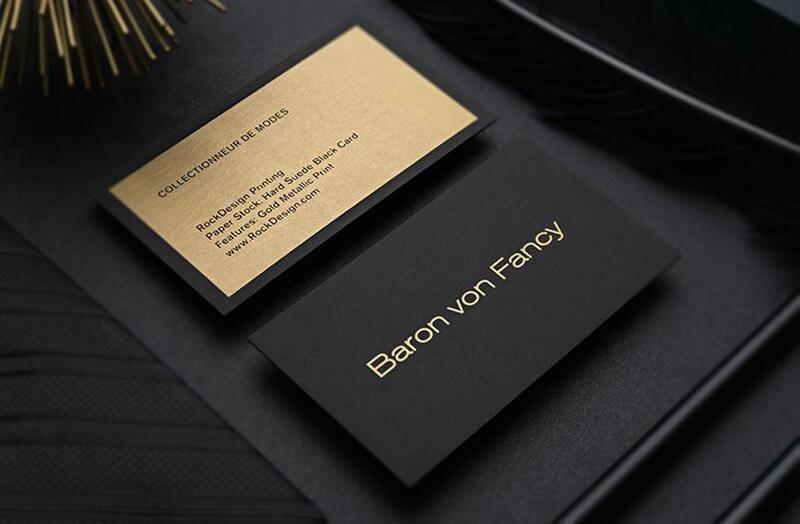 Although minimalistic in design, this business card uses an understated typeface that mimics hand writing. This adds a personal touch to the business card that is balanced by the professional sans-serif font used for the contact information. This template is printed on a 0.5mm thick anodized black and white stainless steel stock that is sturdy, high end, and quick to produce. 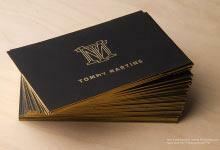 Full bleed laser engraving is the final touch that produces all printing on this business card to create a metallic, luxurious sheen. 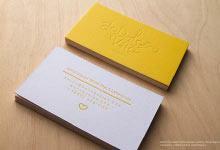 Luckily, this business card can be ready in 3-5 business days so it can meet most deadlines. Although this template has been designed with photographers in mind, the layout is versatile and can be used for a variety of different industries.